In the heart of the North Island lies the region of Taupo, home of the country's largest freshwater lake, geothermal attractions and Huka Falls, the most visited natural attraction in New Zealand. The lake is framed by the stunning mountains of Tongariro National Park. The compact town overlooks Lake Taupo. A number of cafes and restaurants enjoy lakeside views that offer an ideal retreat for lunch and dinner. A diverse range of craft studios, outdoor stores and souvenir shops along with cafes line the streets encouraging visitors to spend more than a passing hour or two here. 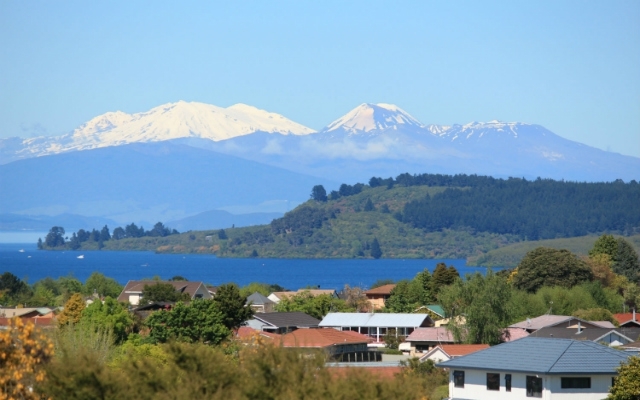 Taupo Accommodation is plentiful, with many hotels and lodges offering splendid views of the snow-capped volcanoes of Tongariro National Park. 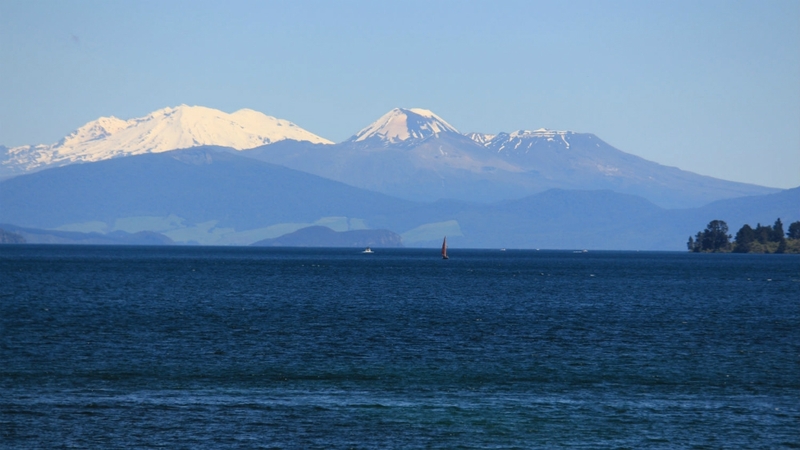 Lake Taupo is a magnet for those seeking some wet pursuits away from the coast. 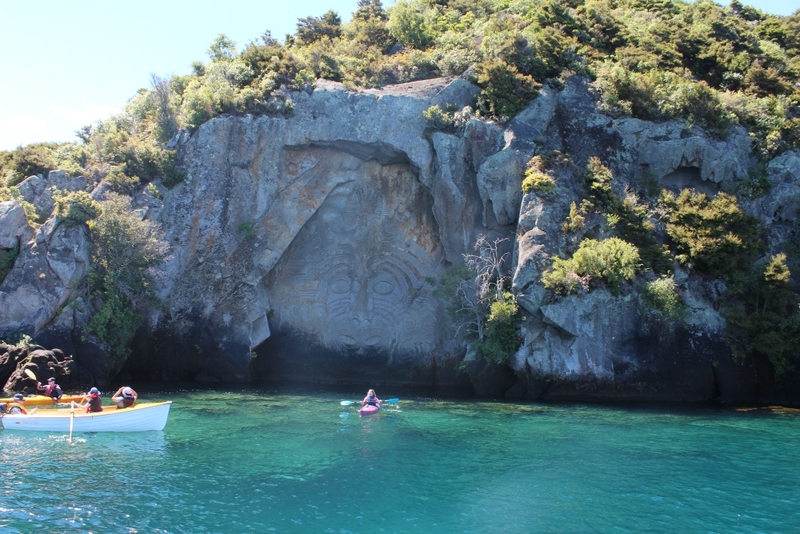 Scenic cruises are a populuar activity to explore the lake and see the famous Maori Carvings. Sailing, kayaking and excellent trout fishing all add to the lake's attraction. Lake Taupo has also earned a reputation for adventure. 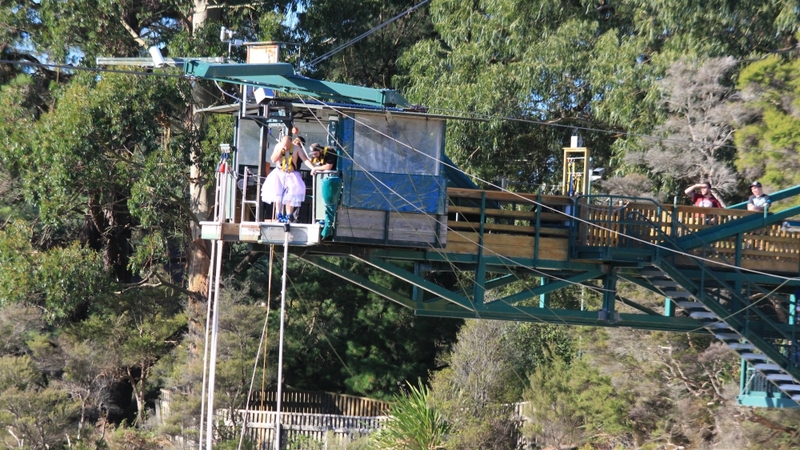 Adreanline enthusiasts can experience Sky Diving, Bungy, Jet Boating and river rating. 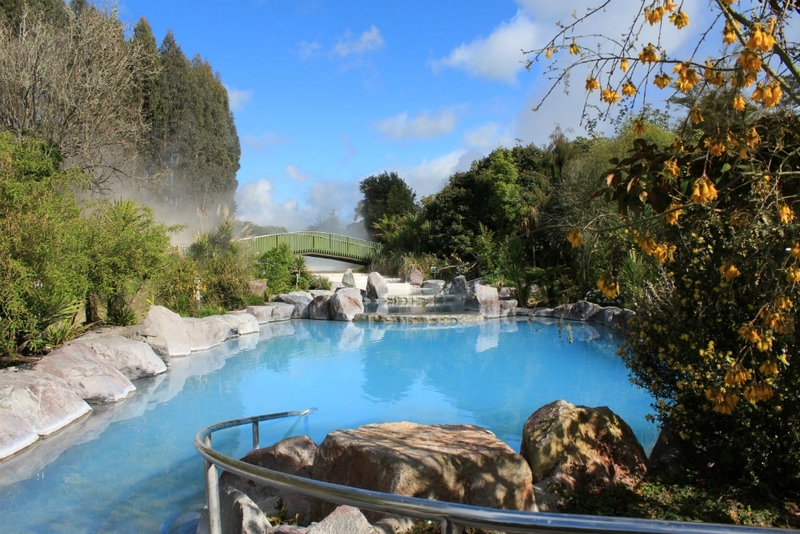 For those seeking a more relaxing time, Taupo Museum, Wairakei Terraces Hot Pools and Spa, and Wairakei Golf Course are all good options. See our Top 10 things To Do In Taupo list for more inspiration. 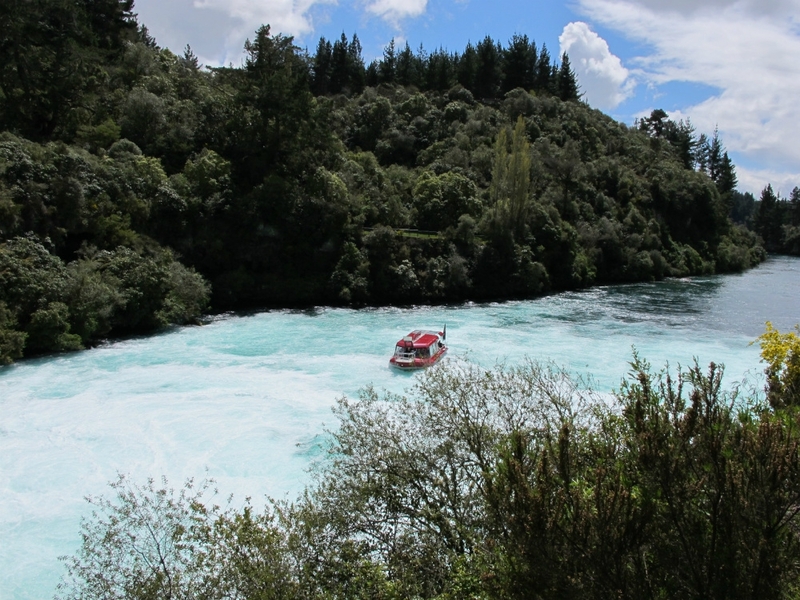 Readily accessible from State Highway 1, a short drive from Taupo, the Huka Falls are New Zealand's most-visited natural attraction. Over 220,000 litres of water gush over the cliff-face every second, and it's not hard to see why it's cameras-at-the-ready for most people who make the trip here. Located on the Waikato River, in the Wairakei Park, you can reach the Falls via either a short, 5-min drive from Taupo, or a beautiful 30-min riverside walk, where a host of viewing platforms provide ample opportunity to bag that prize-winning shot. There is also the option of a Jet Boat Ride or Scenic River Cruise to see the falls from the water. 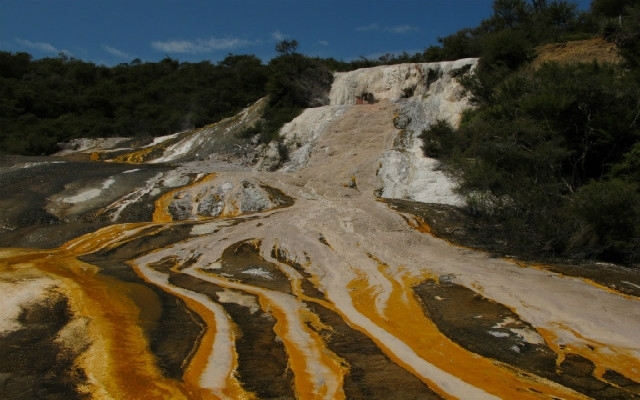 During the love affair with all things lunar in the 1950s, a power station near Wairakei Park purposely lowered its underground water levels, which resulted in what is now known as the Craters Of The Moon Thermal Area. During a 30-min walk around the area (there is a small entrance fee), visitors will experience bubbling craters, steam vents and a veritable jungle of unusual plants that thrive in this hot, steamy setting. 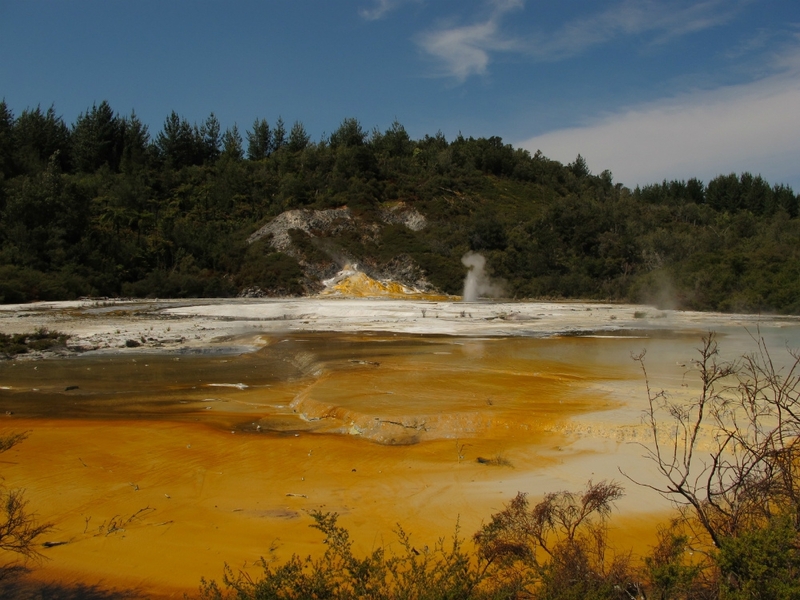 Exploring Orakei Korako is a opportunity to visit one of nature's most spectacular geothermal parks. It's a unique gepthermal attraction 30 minutes from Taupo. It can only be reached by boat and is like sailing to another world as you head towards the "Hidden Valley" itself. Just over an hour away is the oldest national park in New Zealand, Tongariro National Park and the inspiration behind many of the locations in The Lord Of The Rings film trilogy. Mordor, Emyn Muil and Mount Doom were all modelled on the area, which is now a Mecca for 'Tolkeinites', keen to come and see Middle Earth for themselves! Many visitors will come to tackle the Tongariro Alpine Crossing, one of the great walks in New Zealand. The 8 hour trek takes hikers past volcanoes, sulphur lakes and most notably the peaks of Mounts Ruapehu, Ngauruhoe and Tongariro. Mount Ruapehu (or just 'Ruapehu'), 40km southwest of Lake Taupo, is home to two of New Zealand’s top ski-fields: Whakapapa, on the northern side, and Turoa, on the southern slopes. With plenty of apres-ski action to be had in the nearby towns of Turangi and Ohakune, the thrill of skiing an active volcano lures many to the region. Air New Zealand operates daily flights into Taupo from Auckland and Wellington. By road, Taupo is conveniently located off State Highway 1, three and half hours from Auckland, four and half from Wellington and just one hour from Rotorua. 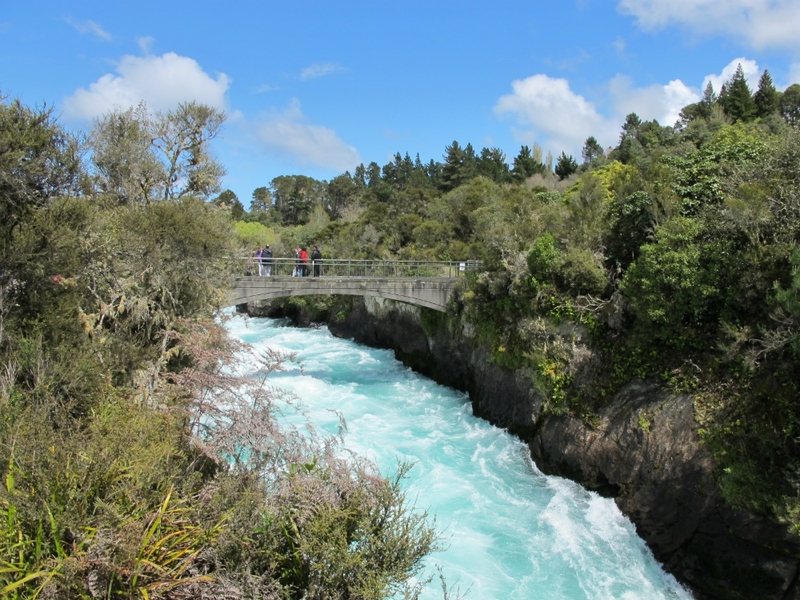 The Thermal Explorer Highway, which runs from Auckland to Napier, runs past Taupo, which is a popular stop-off for those on their way to Rotorua and the Waikato region. Scheduled bus services run daily between Taupo and Rotorua, Auckland and Hawke's Bay. 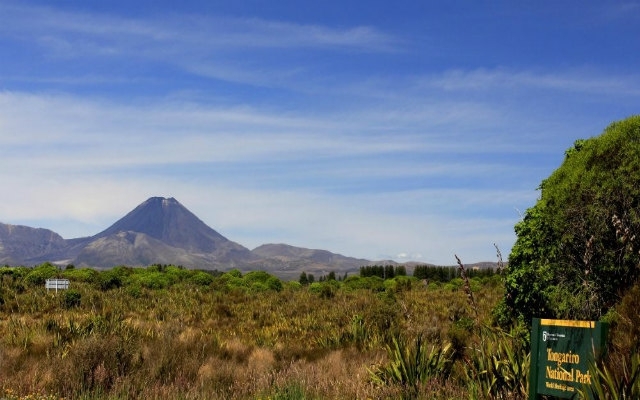 Rail passengers can travel the 'Overlander' route, getting off at Ohakune or National Park, and hop on a bus to Taupo.